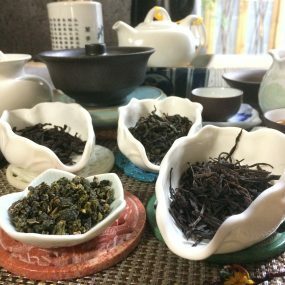 The sub-tropical climate and rich soil of mountainous Anxi in Fujian produce the distinctive dark, thick, glossy, serrated leaves of the Iron Goddess of Mercy oolong tea bush. 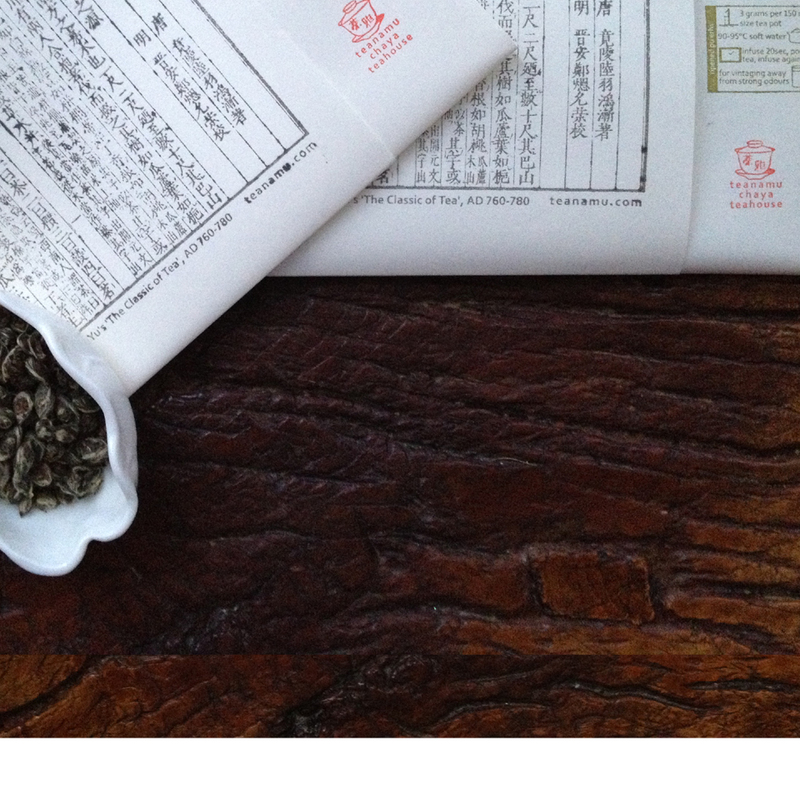 This is a lovely oolong, intensely flavourful and aromatic, with notes of florals, stone-fruits, honey and nuts. A fine Iron Goddess of Mercy will also display ‘hui gan’ or ‘return sweetness’ which is an aftertaste similar to the lingering sweetness after eating dark chocolate. Iron Goddess of Mercy is processed in two distinct forms. 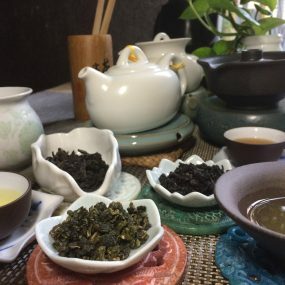 Modern Taiwanese fashion is for a lightly oxidised oolong with a floral character. Traditional Iron Goddess of Mercy, on the other hand, is 30% oxidised and comes under the heading of ‘nong xiang’ or ‘strong fragrance’. The leaves are processed into clusters. When they open, they should show as leaves that are whole and intact, and green with an even distribution of a reddish brown hue. This indicates careful picking and hand-bruising, allowing oxidation to occur throughout the leaf rather than just at its edges.